Click the button below to add the Betancourt Nutrition, B-Nox Androrush Orange 35 servings to your wish list. 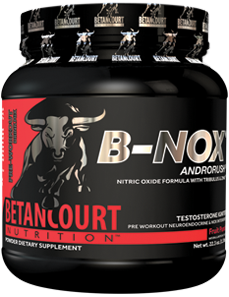 What's in Betancourt Nutrition B-Nox Androrush? Citric Acid, Natural & Artificial Flavors, Sucralose, Silicon Dioxide, Color: (May Include, Red 40 Lake, Yellow 6, Yellow 5 (Tartrazine), Blue 1, And Blue 2 Lake). Biotta - Beet Juice, 8oz.